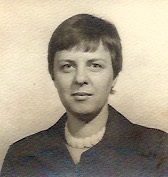 Olga Zabrodsky Ovenhouse was born September 24, 1936, in Lansing, Michigan, and passed away April 3, 2019, at the age of 82. She graduated from Lansing Eastern High School in 1954, and went on to attend Michigan State University, where she earned a bachelor’s degree in social science (history) in 1958, followed by a master’s degree in secondary education in 1962. Olga married Robert (Bob) Ovenhouse on August 19, 1960. Soon after, she began a teaching career with the Lansing School District, which spanned more than 30 years. She started at C.W. Otto Junior High School, but spent most of her career teaching English and Russian at Lansing Eastern. Through her dedication to education and devotion to her students, Olga had an impact on countless lives. She touched the lives of those in her personal life, as well. A child of immigrant parents from Ukraine, Olga was especially sensitive to the unique challenges facing immigrants and refugees, and tried to assist those whom she met in any way she could. She developed special bonds with many in the local Armenian community, as well as families from Vietnam. She was also an active member of Interracial Fellowship, and served as its treasurer for several years. Olga was an avid reader, and she enjoyed listening to NPR, watching PBS, supporting charitable organizations, traveling, playing polkas on her accordion, playing cards, and solving jumble puzzles. She had a great love for animals, especially cats and dogs, and loved eating ice cream. Olga will best be remembered for her kind heart and giving spirit. Olga was preceded in death by her husband, Bob; parents, Theodore and Anastazia Zabrodsky; brother, Jerry Zabrodsky; and sisters, Sonja Bolley and Elizabeth Blake. She is survived by her daughter, Sheila Ovenhouse; brother, Very Rev. Fr. Boris Zabrodsky; three honorary children: Judy Alexander, Doan (Joseph Tran) Nguyen, and Huy (Tina) Tran; six honorary grandchildren: Isabelle and Nathan Tran; and Alina, Aiden, Aaron (deceased), and Nathan Tran; as well as many nieces, nephews, other extended family, and dear friends. Special thanks to the staff at Hospice House of Mid-Michigan, for the compassionate care and support they provided. Keeping with Olga’s wishes, there will be no service. Memorial contributions may be made to Capital Area Humane Society, 7095 West Grand River Avenue, Lansing, MI 48906, or Hospice House of Mid-Michigan, 1210 West Saginaw Highway, Lansing, MI 48915. Arrangements are by the Estes-Leadley Greater Lansing Chapel. Olga was a classmate at Eastern High School and Michigan State University. For a number of years we were close neighbors in Lansing MI. After completing our undergraduate degrees our lives went in different directions and we lost contact, busy with jobs and family. She was a very intelligent and caring individual and I know, an outstanding teacher I always did regarded her as a close friend. I will miss her as I know her family and all those who knew her will as well. I regret that I was unable to re-establish contact with her and Bob in recent years. Olga taught next to me at Eastern High School. We were good friends and I still have a doll she gave me as a gift for my birthday. She loved to teach and she had a great deal of fun with her students, especially teaching Russian. She amazed me with her talent of language and the ability to teach it to others with such ease and grace. May she rest in God’s holy arms. I am sorry for your loss. If there is anything we can do please let us know. My Aunt Olga was a wonderful person, a model wife to my Uncle Bob and a devoted mother to Sheila, a dedicated teacher and a good friend to all who knew her. As I was growing up, she was always so nice to me, and I always looked forward to spending time with her, Uncle Bob and Sheila. Always the dedicated teacher, their were always books, National Geographics, etc. at her house, and she was able to make learning fun and a natural part of your life. When I got older, she became a good friend and mentor. I always valued her advice, and the fact that she put her beliefs and values first in the way that she handled herself and led her life. Then, when I had children, I again saw how Aunt Olga and Uncle Bob brought themselves down to a children’s level while playing with our kids, just as they had done for me when I was a child. My Aunt Olga lived a full life, and made this world a better place for those around her. She will be truly missed by all those who knew her.